Armin van Buuren (born in Leiden, Netherlands on 25 December 1976) is a Dutch trance producer and DJ. In 2007, 2008, 2009 and 2010 he was voted number one in DJ Magazine's annual top 100 list of the most popular DJs. This makes him the first DJ ever to receive 4 consecutive #1 titles. Since 2001 van Buuren has hosted a weekly radio show called A State of Trance and claims to have over 30 million weekly listeners in more than 40 countries, which would make it the most listened radio show in the world. His 2008 studio album, Imagine, entered the Dutch album chart at #1, a first for a dance artist in Dutch music history. 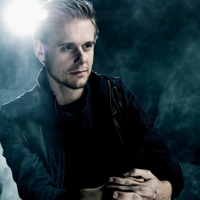 Armin van Buuren has always had his own studio and worked alone in the beginning of his career. Since the release of his third studio album Imagine from 2008 he has been working with Benno de Goeij of Rank 1 on all solo productions and remixes. He is well known for his annual "Year Mix" which incorporates clips and custom mashups from the year's most popular trance tracks. Each year-mix consists of about 85 individual releases, edited into a 2 hour mix which is released on double CD as well as aired on his weekly radio show at the end of each year. According to van Buuren, each year-mix takes several months to make, including thousands of digital audio edits and hundreds of audio plugins.